A young couple were delighted to purchase the old-fashioned house in the Square section of Philadelphia. They moved into their dream home in the winter , bringing their six year old daughter with them. There was a lot of refurbishing to do, so the little girl tended to go up to the attic to play while her parents were occupied with the house. It wasn’t as bad as it sounds, because the previous owners had converted the attic into a playroom. It even had a fireplace at one point, but it was currently boarded up. After a couple of weeks of hard work, the downstairs rooms were finished. The mother, realizing that she had been neglecting their daughter, attempted to try and spend more time with her now, but the little girl seemed distracted. She kept stealing back up to the attic alone to play. “What little boy?” the mother demanded, wondering if a servant child had stowed away in the room. She went to investigate, but found the room empty. Certain that her daughter was just being contrary, she urged her husband to discipline the child. At her father’s stern voice the little girl became hysterical. She kept repeating that there was a little boy and he wore a blue jacket with lots of shiny buttons on it. As her father listened, he became more and more curious. The girl’s father made some inquires, the family that lived in the house before them. He learned that they had come from England, bringing their children with them, two boys and a girl. The youngest child, a boy, was born retarded. The neighbors described the youngest boy as a sweet innocent child. According to the boy’s parents, the neighbors continued, the young boy would often sneak out to go down to the river. The story goes on to say that one day he fell in and drowned. His body was never recovered, but his cap had been found floating in the river. Shortly after the disappearance, put the house up for sale and, leaving Philadelphia, dropped out of sight. The former seaman’s suspicions were now thoroughly aroused. He accompanied his little daughter to the attic and asked her to show him where the little boy came from. She pointed to the boarded up fireplace. Her father called in workers to open it and then to remove the mortar that cemented up a cavity beside the chimney. As the mortar was chipped away, the corpse of a small boy was revealed. 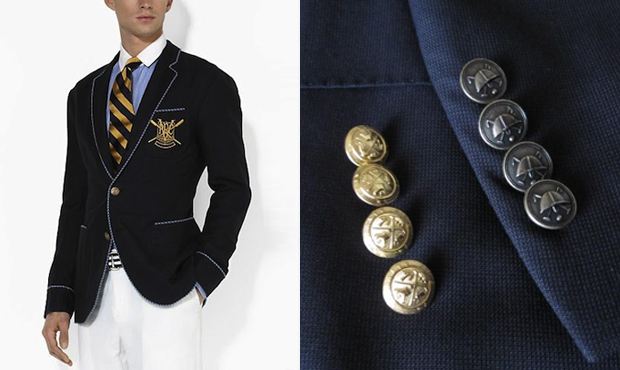 He was clothed in a little blue sailor jacket with four rows of brass buttons down the front. Further examination revealed that the back of the child’s head had been crushed by a violent blow.